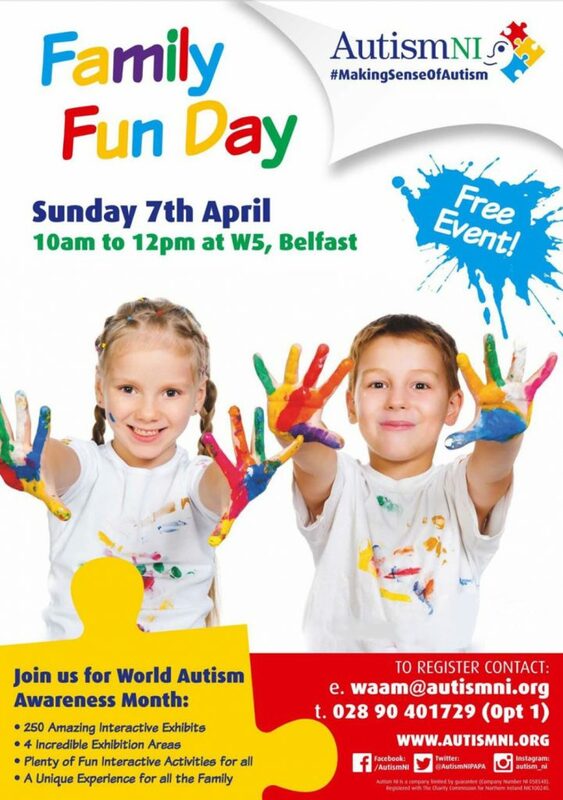 We’re celebrating World Autism Awareness Month with our families on Sunday 7th April from 10am to 12pm at W5, Belfast. To join us on the day all you need to do is email; waam@autismni.org, stating the number of adults and children intending to attend. Alternatively, you can contact Family Support on 028 90 401729 (Opt 1). This entry was posted in News and tagged Children and young people with disabilities Regional Sub Group, news/events by Yvonne. Bookmark the permalink.